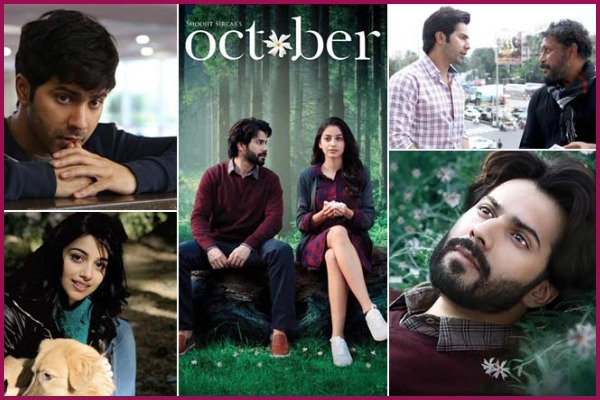 Varun Dhawan’s October Trailer Out: A Perfect Combination Of Life, Love And Emotions! Director Shoojit Sircar, who has always enthralled us with his simple yet powerful stories, is back again with another one titled ‘October’. The trailer of ‘October’ starring Varun Dhawan and Banita Sandhu in the lead roles is finally out and it’s breathtakingly beautiful. The trailer sees Varun playing a role of a sweet yet mischievous boy who tries to get into the hospitality profession. His profession plays a very integral part to his character and shapes up the events that follow. The trailer further takes us on a beautiful journey of love, life and relationships. Also, it’s not just a love story but a story of love that is beyond normal love stories. October trailer has a perfect balance of love, emotion and drama. Every scene in the trailer looks powerful fill with emotions. The two-minute trailer gives a glimpse of a beautiful and unique love story. This is enough to say that the lead actors Varun Dhawan and Banita will share an amazing on-screen chemistry. October is a Rising Sun Films & Kino Works’ production, written by Juhi Chaturvedi, directed by Shoojit Sircar. We definitely can’t wait for this one!